It has been said that you can’t teach an old dog new tricks. As this axiom relates to salespeople, it is sometimes true and sometimes untrue. The outcome can be determined by which category the salesperson falls into. In other words, in which kind of dog we are dealing with. Here at Braveheart, we are in the human performance business as it specifically relates to sales effectiveness. And the businesses of people training and dog training are really quite similar. Okay, before I go on, let me apologize if by comparing salespeople to dogs I offend anyone, but understand I like most dogs and I like most salespeople so I assure you there is no ill intent. Thus, to continue the analogy, it is imperative that we know which dogs can and will learn new tricks and which ones can’t or won’t. Otherwise, we waste time, money and effort on those old unteachable dogs, which in turn takes time, money, and effort away from teaching both the puppies in the group and those other old dogs who will learn new tricks. Let’s assume that we have a whole pack of dogs (salespeople). Perhaps we have some excitable beagles who throw themselves into anything but tend to get distracted by a new scent. Maybe the pack includes some chihuahuas who bark and complain about things, but also rule the roost and are great protectors. The pack might even have some super nice golden retrievers, whom everyone loves. Even though all these breeds might exhibit similar characteristics in a pack, some individual dogs no matter what their breed will be able to learn and develop new tricks (skills) and some won’t: just like salespeople. And, just like dogs, salespeople need to be “trained” or coached in a manner that will appeal to them. Which Dog Can Learn New Tricks? So, the same question arises: Which dog can and will be taught new tricks? The answer can be found using some tools specifically developed for sales. The most predictive ones we know of on the market were created by the Objective Management Group. We use the OMG tools because they are nearly 100% accurate in not only analyzing an individual’s competencies and “sales DNA” (95% predictive validity rating) but also in identifying whether salespeople have the necessary elements to be willing and able to learn new tricks. There is a hot term right now: Agile – meaning the ability to move quickly and easily. As it relates to selling, this means that the salesperson is easily adaptable to the selling situation. Read about it in the book Agile Selling, by Jill Konrath. There, you’ll find a one-word summary of the 5 important elements that determine a salesperson’s willingness to grow, change and adapt to their surroundings. 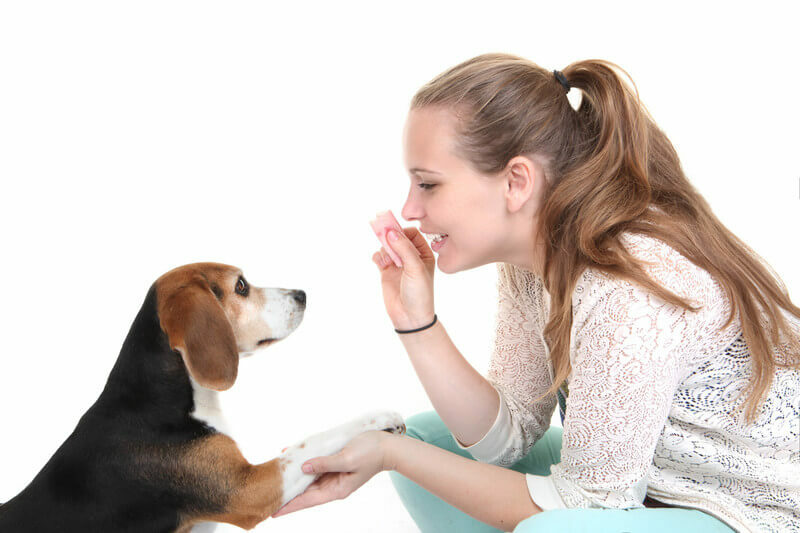 These elements are the foundation of whether a dog will learn new tricks. Desire – Does the individual have the personal passion for being successful in sales? Commitment – Does the individual have the willingness to do uncomfortable or difficult things to be successful? Will they give up too easily or will they grit it out to succeed in sales? Motivation – Are they adequately motivated to succeed? Outlook – Do they have an optimistic outlook? Responsibility – Do they take responsibility for outcomes or do they tend to make excuses? Unfortunately, even when dogs possess the requisite “will to sell” as determined by those five elements, they may have such a small collection of actual selling competencies and sales DNA that teaching them new tricks may just take too long. Don’t forget that some dogs are meant to repeat the same tricks over and over, while others are meant to learn new and different tricks. Before trying to teach dogs or salespeople, I suggest evaluating their ability and willingness to learn those tricks. If you want to understand these elements and how to evaluate them more fully, download an example report complete with video descriptions here.